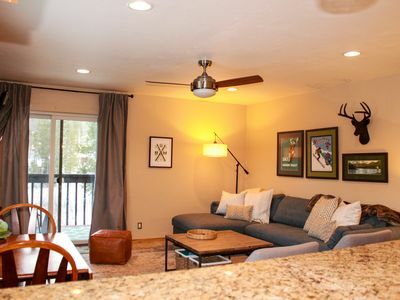 Family-Friendly Mountain Home Just Minutes From Main Street And Slopes. 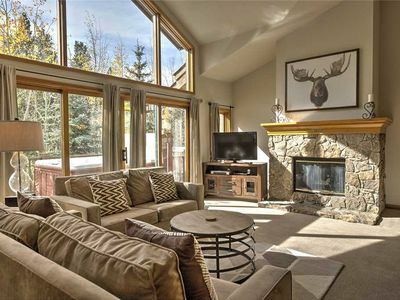 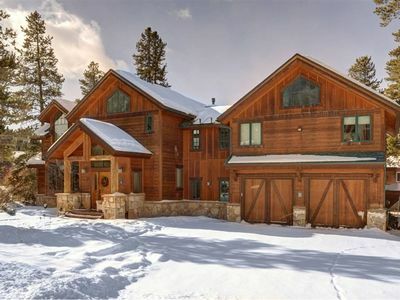 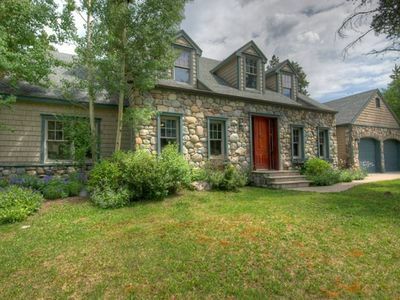 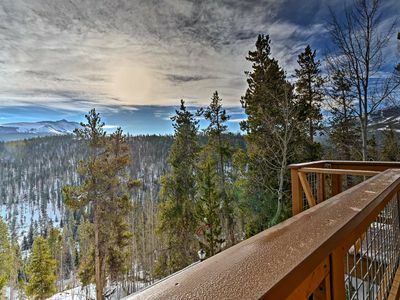 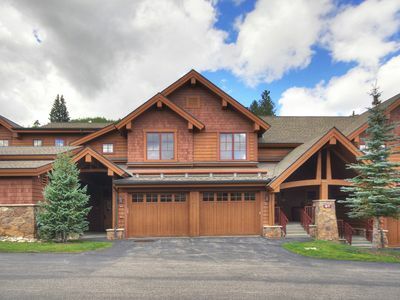 Gorgeous mountain home just minutes from Breckenridge main street and ski slopes. 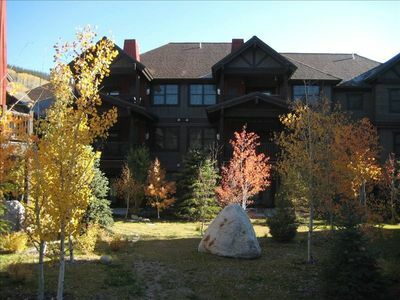 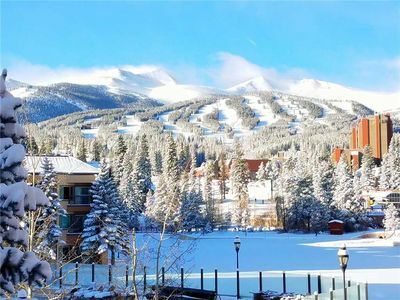 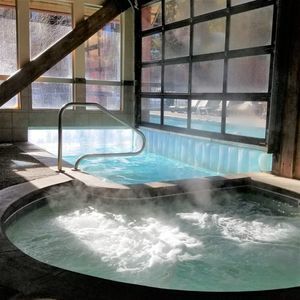 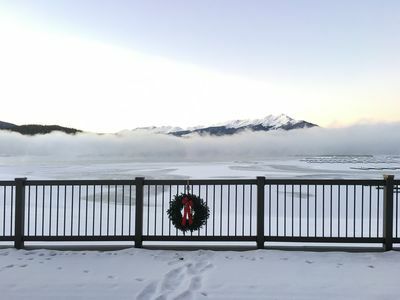 Located less than 0.2 miles from Lodge and Spa at Breckenridge and the free bus stop. 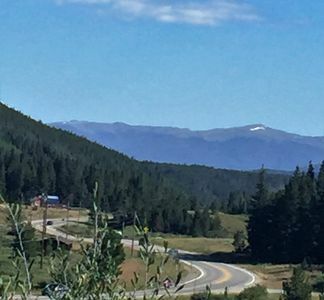 If you would prefer to walk down to the town, there is a short (less than one mile) but beautifully scenic trail that will take you there via the sledding hill. 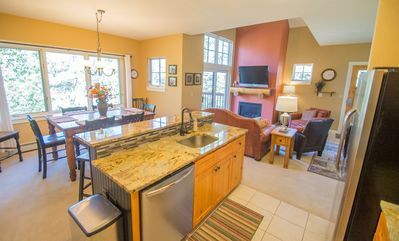 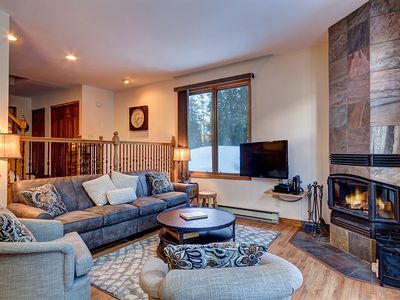 This is the perfect mountain retreat for two small families or one big family with three bedrooms (including a bunk room,) three full bathrooms, two family rooms with fire places, a fully stocked kitchen, an 8 seater dining table, two decks and a hot tub. 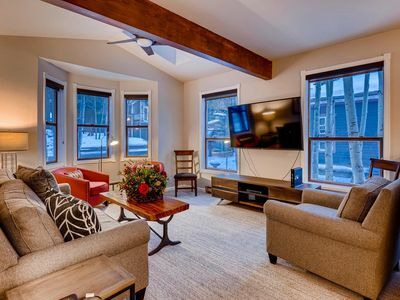 The family room on the lower level is a wonderful place to snuggle up on the large sectional sofa in front of the fire and watch a movie or play one of the many board games. 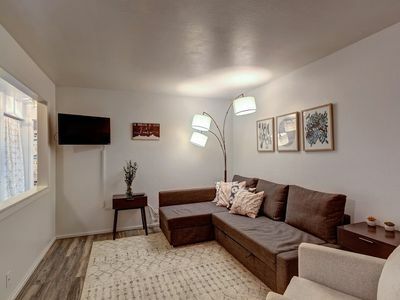 This room can also be considered a “kid zone” while the adults enjoy some quiet time in the family room on the main level. 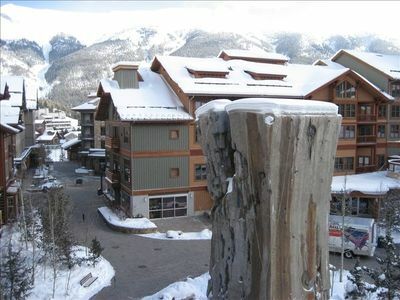 Lrg 2bd Ski in/Ski Out -REMODELED -Watch the Halfpipe from the Condo! 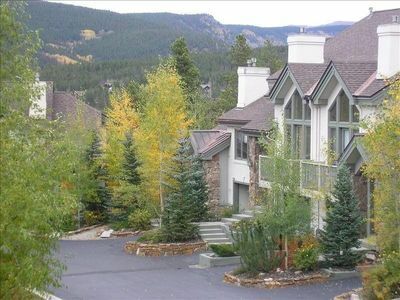 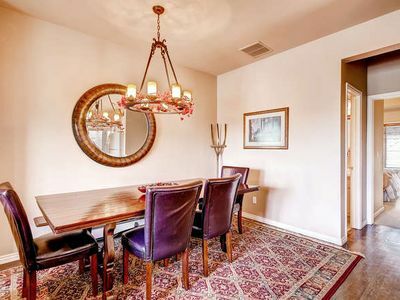 Beautiful Dillon Condo with pool, hot tubs, tennis courts. 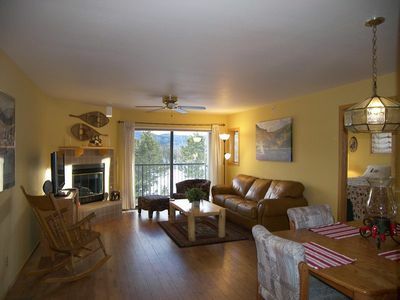 Access to kayaks! 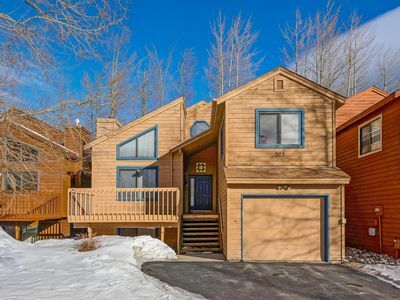 Lovely 3 bedroom Mountain side home with Den! 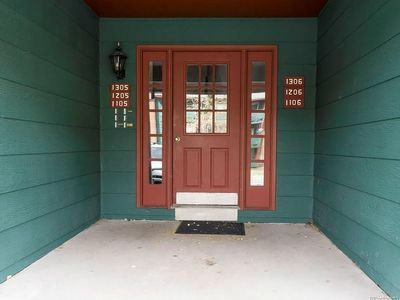 Easy access to bike bath and only 5 blocks to Main Street, Frisco.